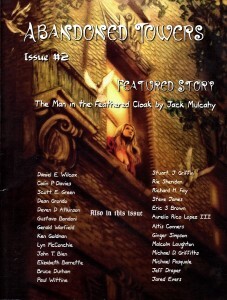 Just before World Fantasy Con in the Fall of 2011 my poem “Rivers Do Not Flow Within,” was published by Haunted Waters Press in their literary magazine From the Depths. It’s a beautiful issue with great photos. Take a look if you have time. .. . . . . . . ..
that travels weak to strong. the two weak in the front do belong. wagging its tail of two syllables. 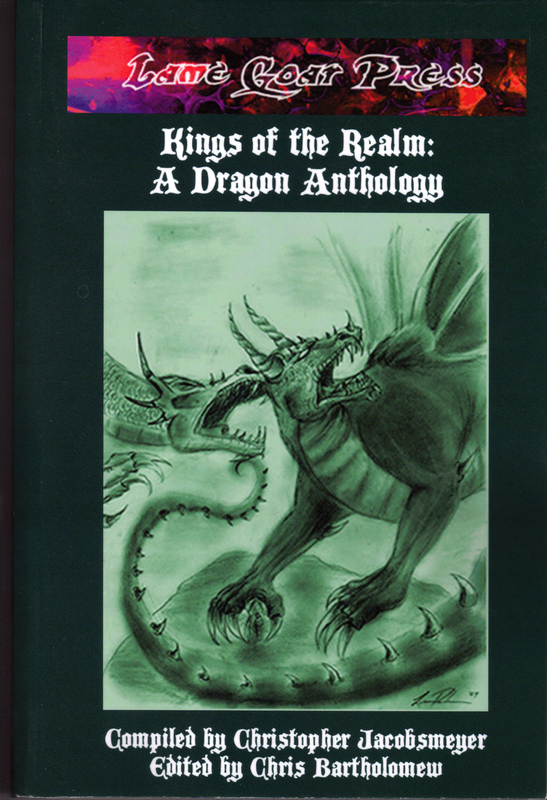 The following poem appeared in Kings of the Realm: A Dragon Anthology compiled by Christopher Jacobsmeyer and Edited by Chris Bartholomew. Published by Lame Goat Press, it is the last poem in the book, appearing on p. 251. 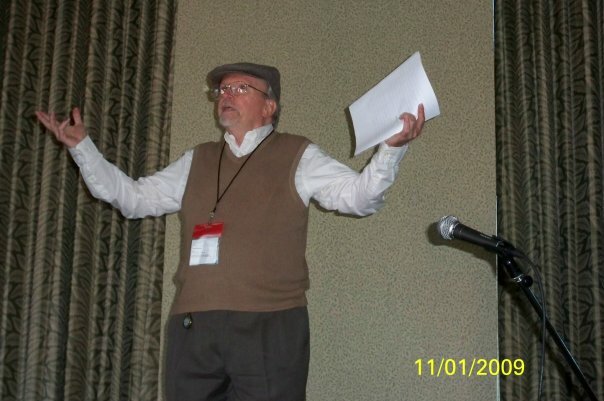 It is copyright 2010 by Gerald Warfield. The poem is an imitation of Waiting for the Barbarians, written by the early twentieth-century Egyptian poet Constantine Cavafy in 1904. In Cavafy’s poem, the coming of the barbarians is a “solution” to the corrupt, effete government of the city, perhaps a comment on pre-World War I regimes of the countries on the southern and eastern Mediterranean. In my version, dragons represent the challenges and adversities without which we would fail to grow. Confronting dragons calls forth our finest attributes, dare I say, even nobility. Why are we waiting, gathered here in the courtyard? in their vast, marble chambers? they enact laws and measures of emergency. holding the scepter and orb? Because the dragons arrive today. his titles of highest rank and legitimacy. and rush about with their secretaries and servants? and sashes of rank and high office? Why do they hold audiences in their chambers? and the nobles shall not be found unprepared. we stand already at the highest state of alert. Why… why the sudden confusion and desolation? The faces of the people wrinkle with concern. only the ale houses stand full. but the dragons have not come. What shall become of us without dragons? Our resolve shall falter, our bravery fade away. https://sites.google.com/a/newmyths.com/nmwebsite/past-issues/issue-15 This is a great ezine, edited by Scott T. Barnes, and well worth a visit. The poem has also been nominated for a Rhysling Award, an annual prize given by the Science Fiction Poetry Association. I’m really thrilled about it.